Here is a current job, check it out! “Remodeling” Magazine Big 50 Award Given in Washington D.C. 2013 for top 50 remodelers in the United States. Just awarded in Washington D.C. May 8th & 9th Top 50 Remodelers in the United States! Best of Omaha 9 years in a row! The team at R.D. Schuller would like to thank Omaha for voting us Best Home Remodeler nine years in a row, from 2006 to 2014! 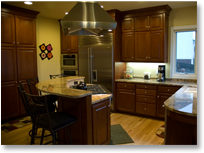 For over 43 years, it has been our pleasure to present homeowners and businesses with superior craftsmanship, excellent customer service, and remodeling experiences customized to suit our clients' wants and needs. No matter the renovation, we guarantee you will receive beautiful and enduring construction with no detail left unnoticed. 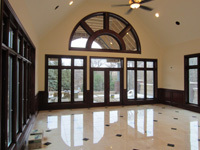 From kitchens and bathrooms to additions and basements, our team of experienced remodeling professionals will construct a living space you find is as functional as it is beautiful. Please contact R.D. Schuller for your upcoming home renovation! Papillion, Bellevue, Valley, Elkhorn, Gretna, & Bennington, Nebraska.